Videographers Courageous Nerdz has been sounding the alarm about the leaked memos showing a major banking drill to “prepare” for cyber attacks will occur on February 15-16, 2014, where many people are being warned, some by the banks themselves, they might not be able to get their own money out of their accounts. The warning is about a flase flag attack against the US, something that is happening right now and most people don’t even know about it. Remember when Barack Obama was beating the drums of war against Syria, claiming the leadership was attacking it’s own people with chemical weapons, when in reality it was the Obama sponsored Syrian rebels conducting those attacks? US Congress refused to approve military action against Syria and the American people made their voices heard LOUDLY about their disapproval for a military attack. Obama failed, he couldn’t attack Syria, but he never gave up the idea. Keep that in mind when you watch the video below, because since that day, smaller attacks, cyber attacks have been occurring and who is the Obama administration blaming? The Syrian Electronic Army. Jump forward and now, Facebook, EBAY and Paypal have been hacked and once again, who is being blamed? That is right, the Syrian Electronic Army. 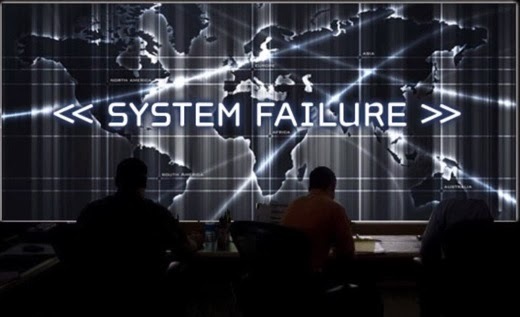 So, the groundwork has been laid, the drill dates set, and when this “cyber attack” happens and Americans cannot access their money and the government claims “it isn’t the drill it was a real attack and Syria did it,” then Obama takes to the stage and tells us all that it was “an act of war” to attack our financial system, so we have to attack Syria, those not paying attention might just let him get away with doing what he tried and failed to do before. Recently Dave from the X22Report also warned that the US must attack Syria and perhaps Iran in order to prop up the dollar.